The Art of Loving is a rich and detailed guide to love—an achievement reached through maturity, practice, concentration, and courage. In the decades since the book’s release, its words and lessons continue to resonate. 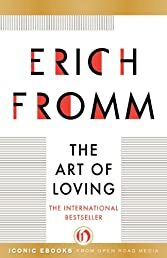 Erich Fromm, a celebrated psychoanalyst and social psychologist, clearly and sincerely encourages the development of our capacity for and understanding of love in all of its facets. He discusses the familiar yet misunderstood romantic love, the all-encompassing brotherly love, spiritual love, and many more. A challenge to traditional Western notions of love, The Art of Loving is a modern classic about taking care of ourselves through relationships with others. This ebook features an illustrated biography of Erich Fromm including rare images and never-before-seen documents from the author’s estate.